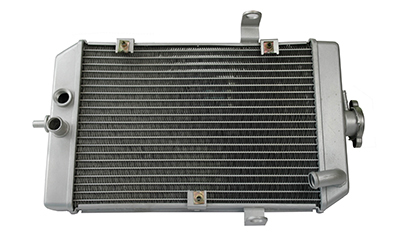 KSX are a growing brand of quality off road cooling system components. 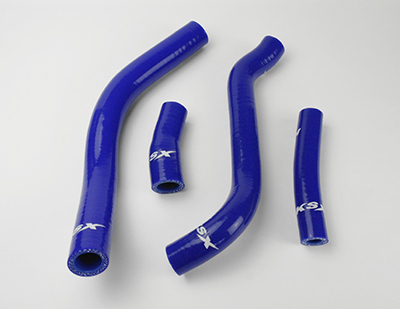 Larsson UK are pleased to introduce a new range of KSX Radiators and Silicone Coolant Hose kits for many popular Motocross bikes and ATV models. KSX Radiators are a direct replacement for OE parts but at a very attractive price, offering a good profit opportunity and a considerable saving compared to OE pricing. Quality design and manufacturing means no modifications are required and a precise fit on every installation. These radiators give a cooling performance that matches OE specifications. 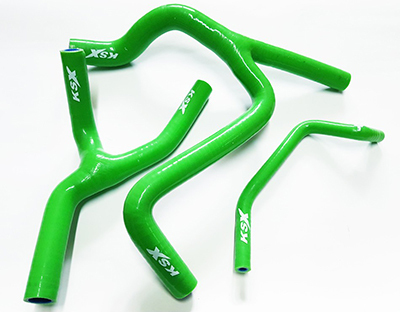 KSX Silicone Hose kits have a polyester fibre reinforced construction to give superior life and performance. The hoses are capable of resisting pressure up to 6bar and temperatures of 215°c. The hoses are pre-moulded to make fitting straight forward and are available in a range of colour options including those to match the corporate racing colours of Honda, Kawasaki, KTM, Suzuki and Yamaha. Both Radiators and Hose Kits are being stocked by Larsson UK and so will be available via our industry leading pre-12 midday next working day delivery service with a Saturday delivery option. Like all Larsson supplied products, our KSX Radiators and Hose Kits benefit from a 2-year guarantee against manufacturing defect. Larsson UK offer our 70,000 parts for motorcycle, scooter and ATV including consumables, tyres, tools, workshop equipment and technical information through our own Mike Technik data system, to trade customers throughout UK and Ireland. For any queries, please contact our sales team on 01536 265633.